Italian fans rejoice…there’s a new hot spot in town. 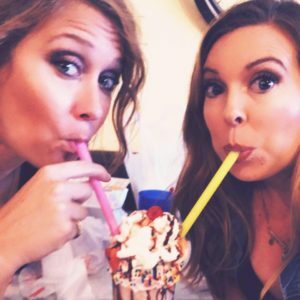 It’s the start of a New Year, and while some of you are swimming in seas of salads and rekindling your relationship with your trainer we’ve been rolling in the dough. And by dough, we mean pasta of course. 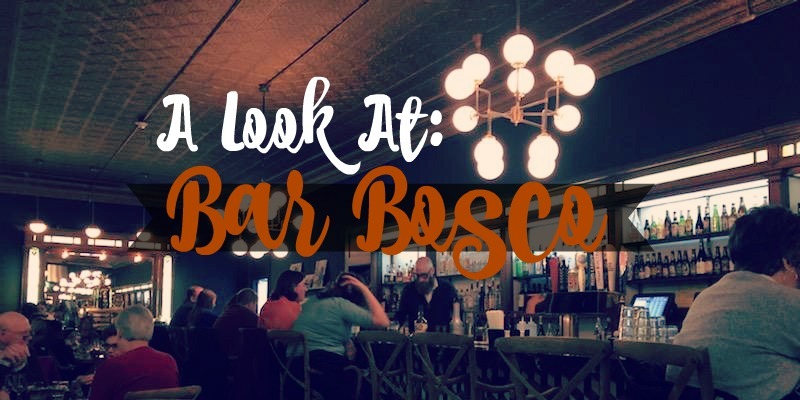 Boasting an imported pasta maker and house-made sauces, recently opened Bar Bosco caught this foodies eye and I had to take a look. Bar Bosco’s features old world Italian food with a new world, modern feel. 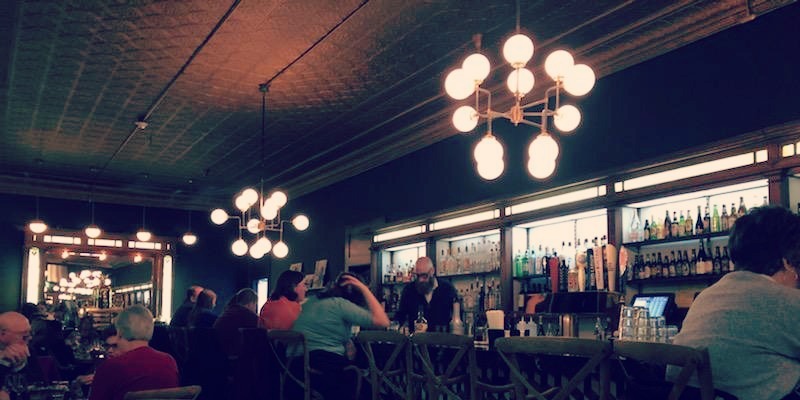 As far as environment goes, they’ve taken the idea of “new year, new you” to a whole new level with their outstanding renovations of the old Simrell’s Bar. If you’ve never been or *gasp* never heard of Simrell’s, then we might be dating ourselves here a bit. But back in the day, Simrell’s was a go-to local watering hole, especially in your early twenties. 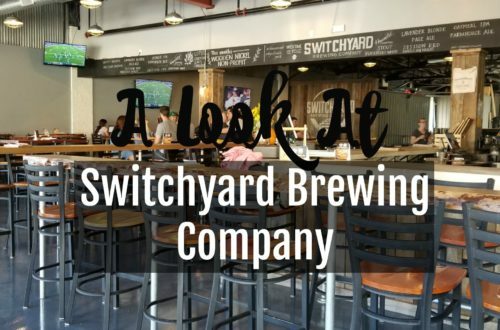 If you were looking for a fun place to sing the night away at karaoke, shoot some pool, or wanting a cold (& cheap) beer, this was the place to go. Unfortunately, the place in appearance might have been a little lacking. So, if you’ve visited the walls of Simrell’s, walking into Bar Bosco, you will find the space completely unrecognizable. 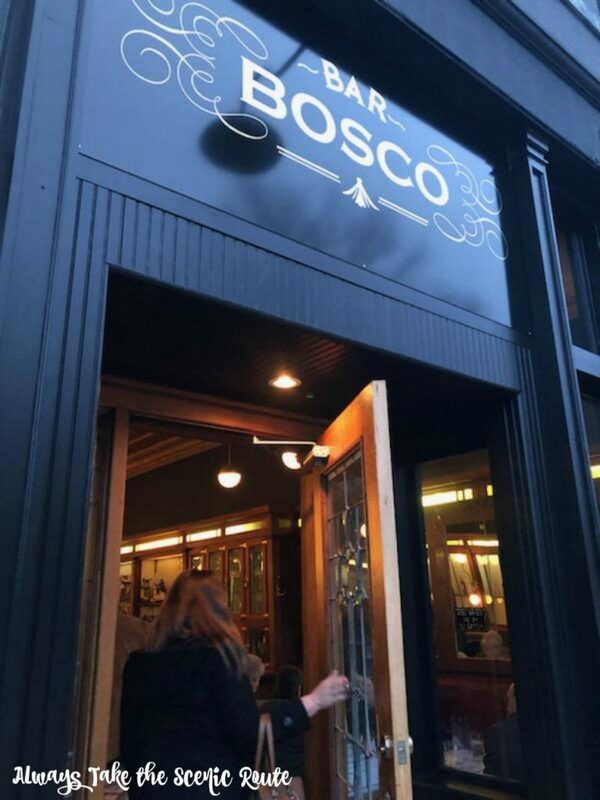 Bar Bosco isn’t just boosting an elegant remodel, they’ve kicked off their opening month with a delicious looking menu and impressive wine and cocktail list. For my first trip in, I quite honestly couldn’t resist the Limoncello Pomegranate Martini and it did not disappoint. With a variety of reds and whites, and a list of well-crafted cocktails, there is a little something for everyone to enjoy. I personally have never tried Absinthe before. So, when I saw they had a variety of bottles available I took their recommendation and tried one out. 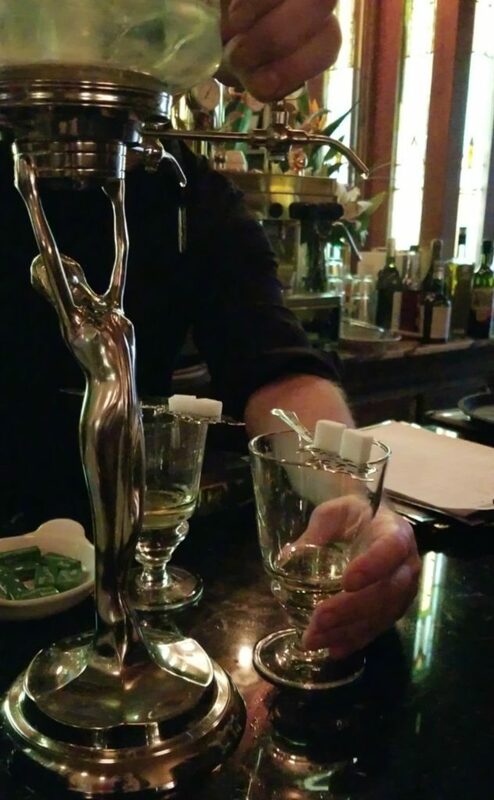 I’d have to say Absinthe is definitely an acquired taste to say the least, but one I’d try out again and I’m glad to have found some place locally where I can do that. Though their restaurant, Alimentari Da Pesavento is not yet open. Bar Bosco still has a dinner menu available to patrons. 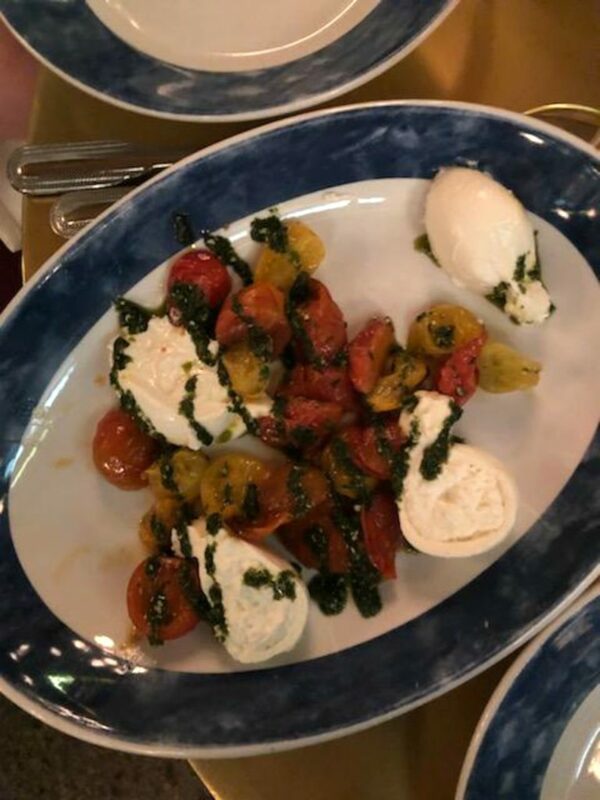 Their antipasto menu has some of your Italian favorites; from their house-made meatballs to delicious winter caprese salad. 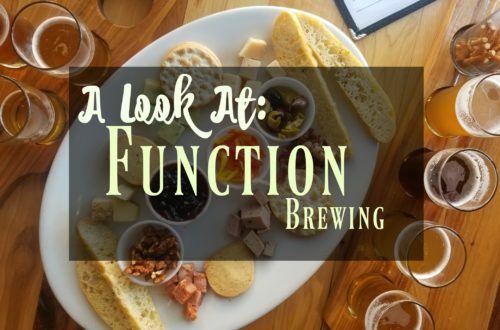 I very much am looking forward to some fun evenings with friends enjoying wine, appetizers (my favorite! ), and laughter. 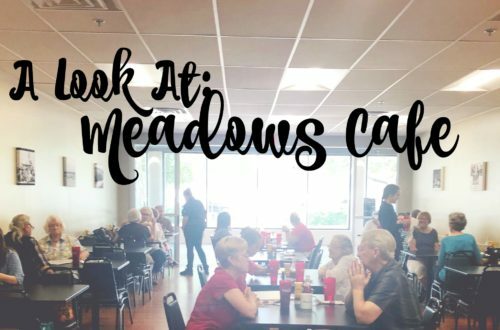 The dinner menu features a variety of different pasta dishes and entrees, so whether you’re a red sauce or white sauce kind of gal, they’ve got you covered. I must be honest and tell you I usually skip dessert. Some how with all my food love the whole sweet tooth thing missed me and I typically go without. I decided to make an exception here and I’m truly glad I did. It was honestly my favorite thing that I ate. Full of apples, pecans, and baked meringue, it had amazing textures and is a dish I’d come back for again! 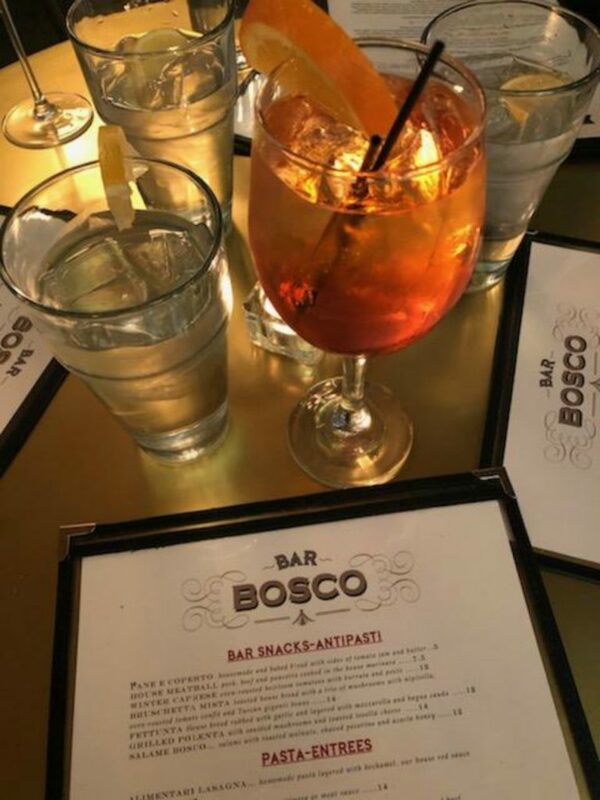 With good food, great drinks, and a beautifully renovated building, Bar Bosco is putting there 7th and Deming location on the map as a great local spot to stop in and step into Northern Italy. Currently they are open Tuesday thru Saturday, 4pm – close. Though walk-ins are welcome, every time I’ve been in it’s been a packed house (between 6 and 9), so I would highly recommend calling ahead and making reservations, especially if you have a group. Be sure to be on the lookout for Alimentari Da Pesavento’s opening in early spring, we can’t wait to see what they’ll bring next!